In addition to giving students a chance to highlight things that are important to them, the sharing time helps the children practice good listening skills. Conshohocken Elementary School parents had a chance to witness a “Morning Meeting” firsthand during American Education Week. Every elementary class in Colonial starts their day with a Morning Meeting as a way to get students ready for their day. “When you’re tired and you start off to a rough morning, it gets you back on track,” said third-grader Zakir Williams. The 20-30 minute meetings are part of the “responsive classroom,” an educational approach that emphasizes the importance of building a strong and supportive community in addition to engaging children in their academics. 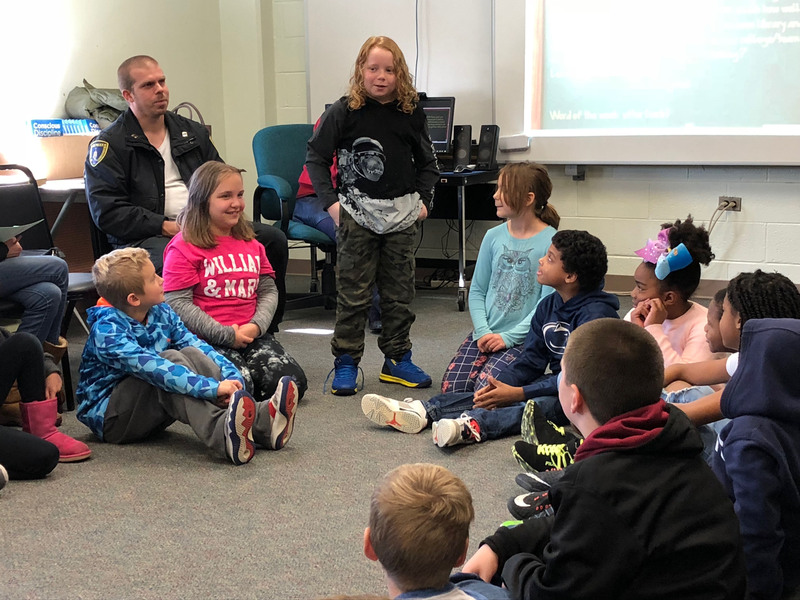 The meetings include four parts — a greeting, sharing, a group activity and the morning message — and provide an opportunity for students to get to know the other children in their class better while settling in to focus on the school day. Independent research — as well as elementary teachers throughout the district — have found that the responsive classroom approach leads to higher academic achievement in math and reading, improved school climate and higher-level instruction. “I thought it was nice. I like how they incorporate a little bit of learning, a little bit of social interaction and team building,” said parent Jennifer Nelson.